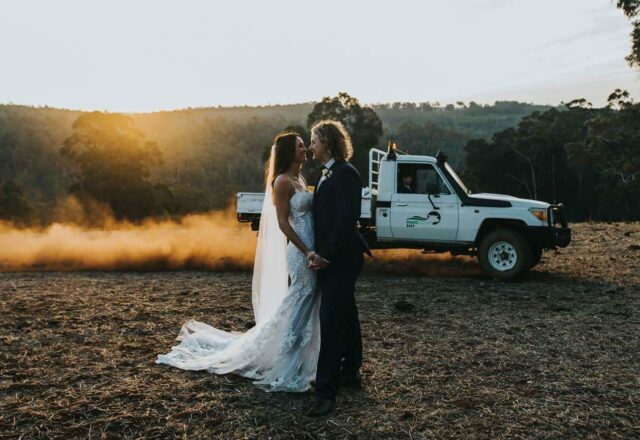 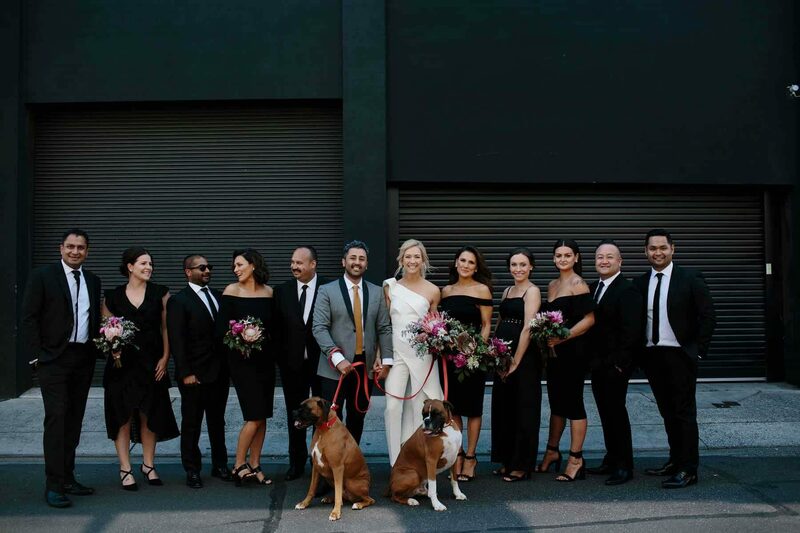 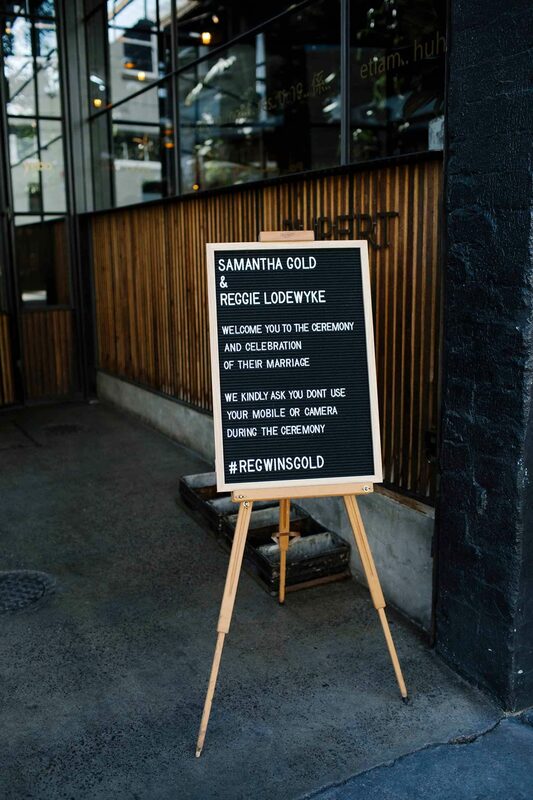 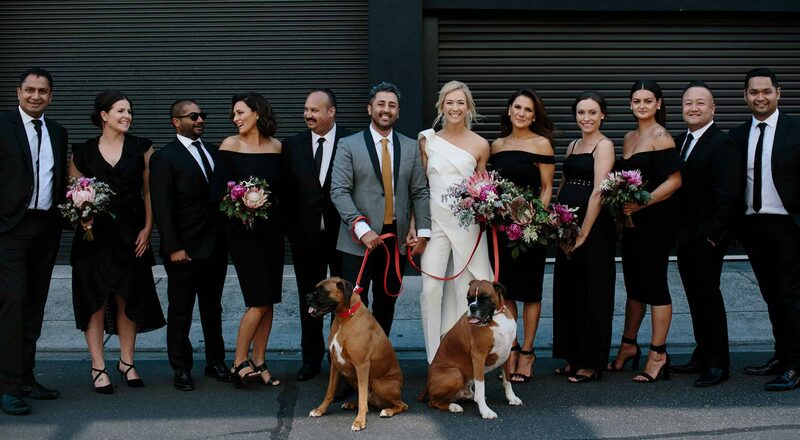 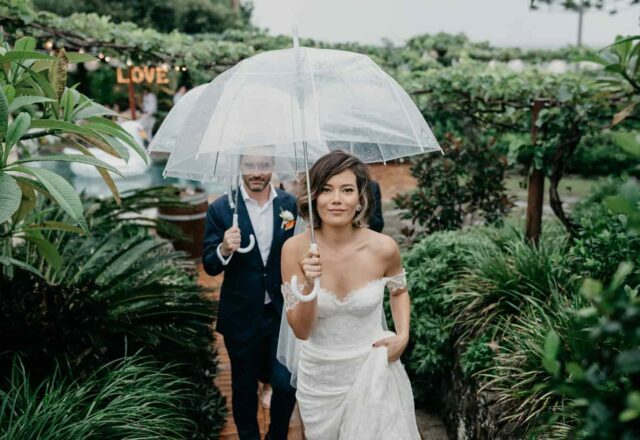 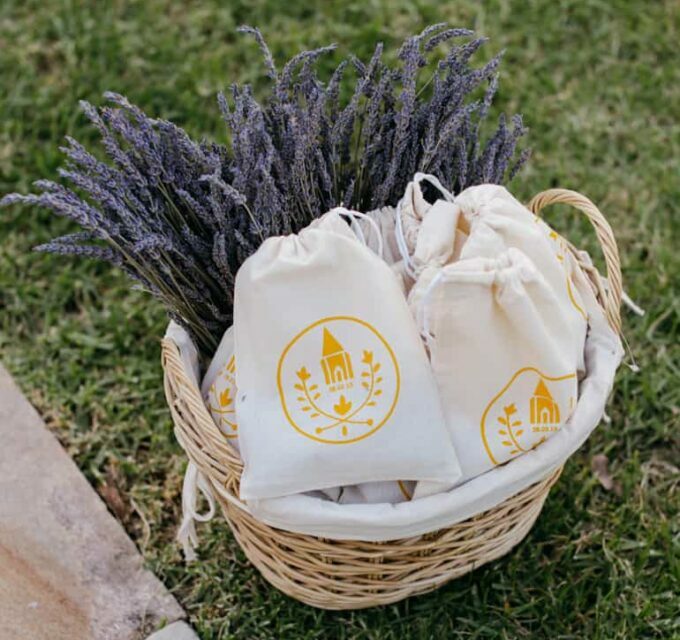 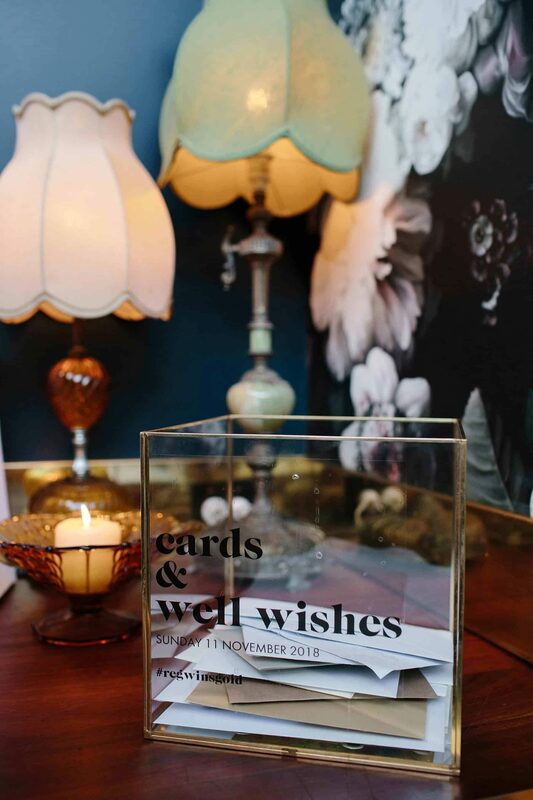 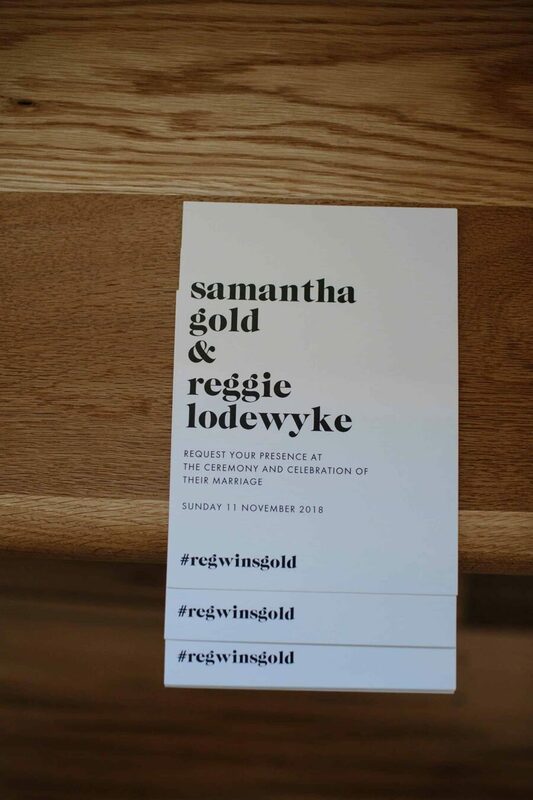 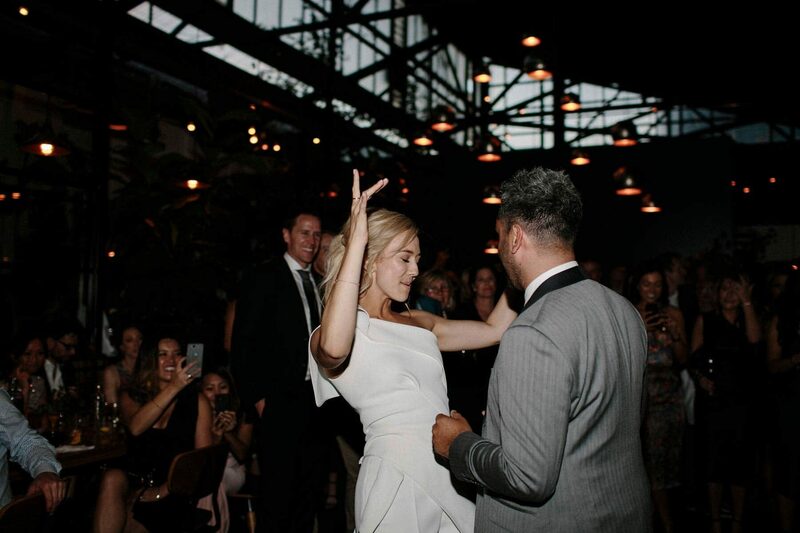 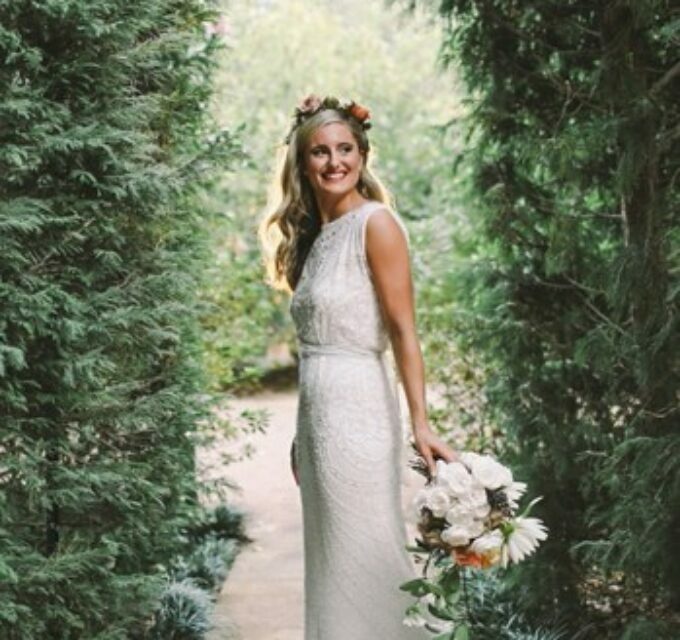 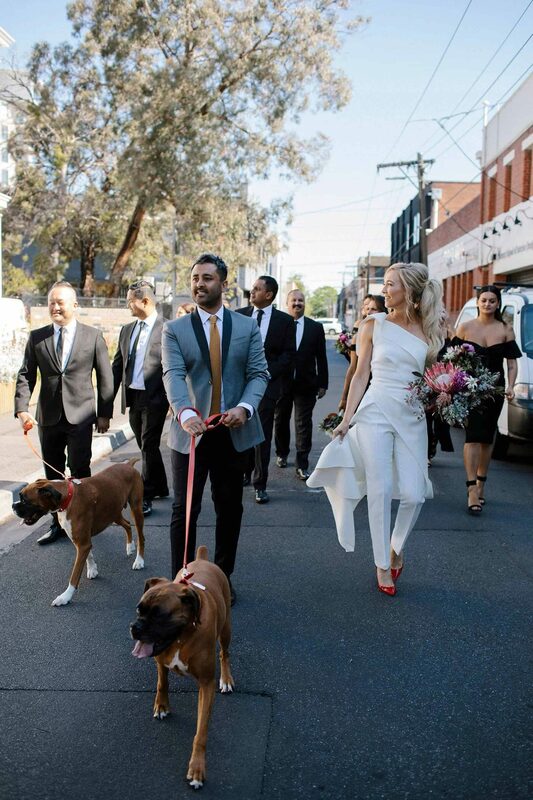 With experience in events, a laid-back approach and a soft spot for the non-traditional – Samantha and Reggie’s wedding was perfectly against the grain. 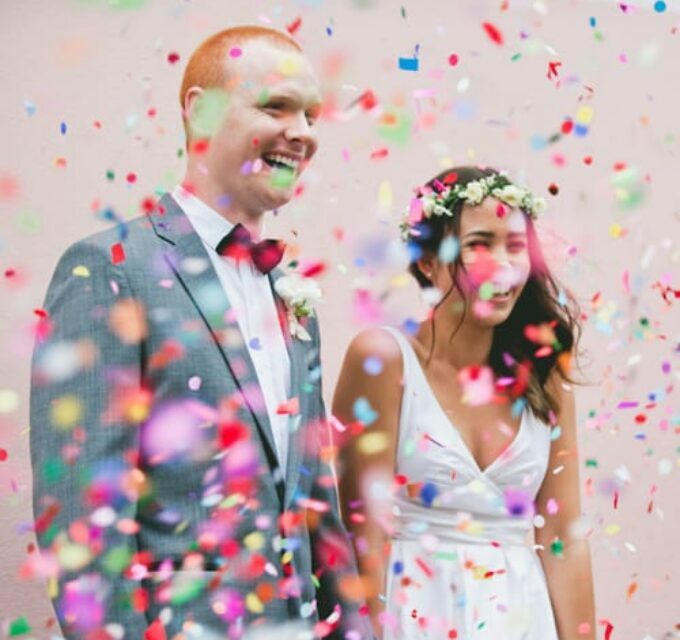 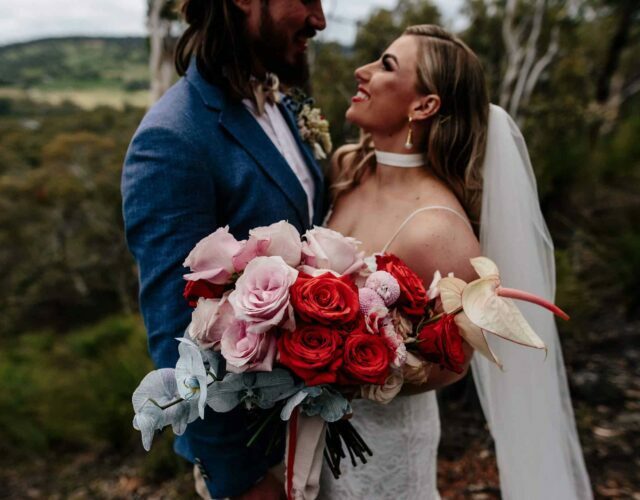 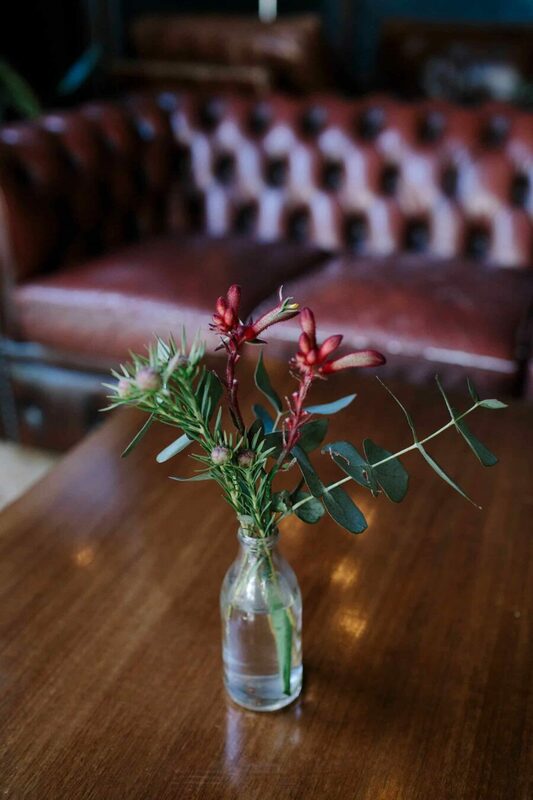 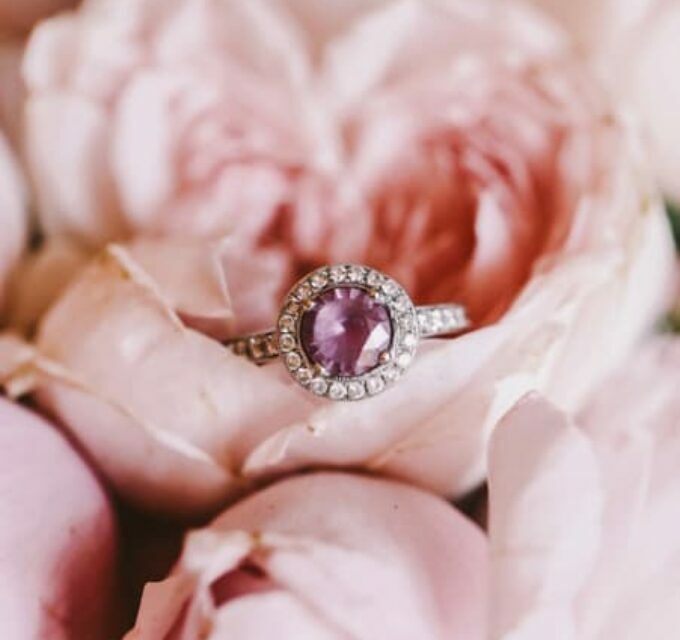 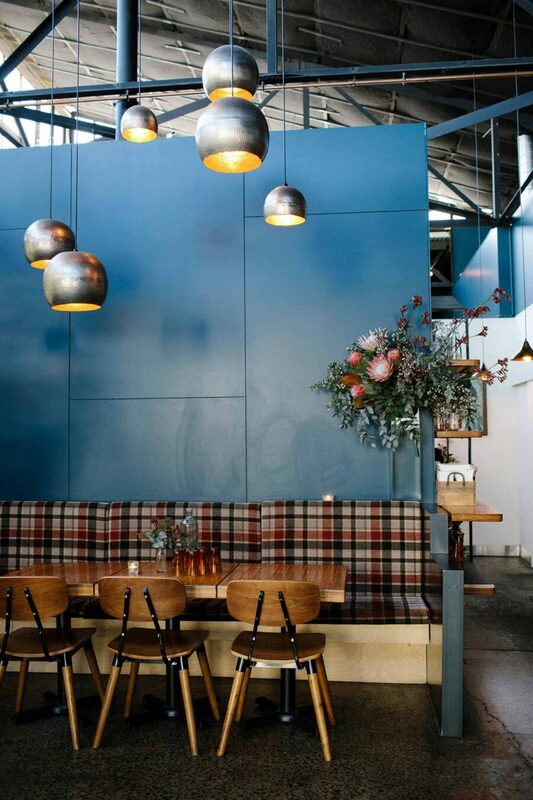 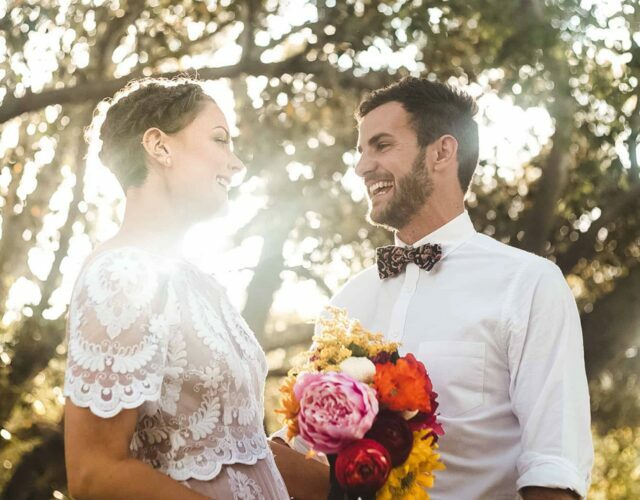 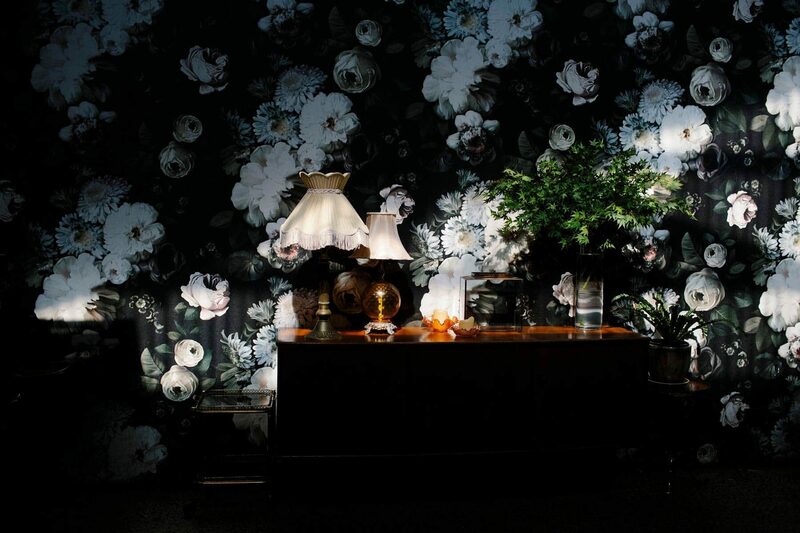 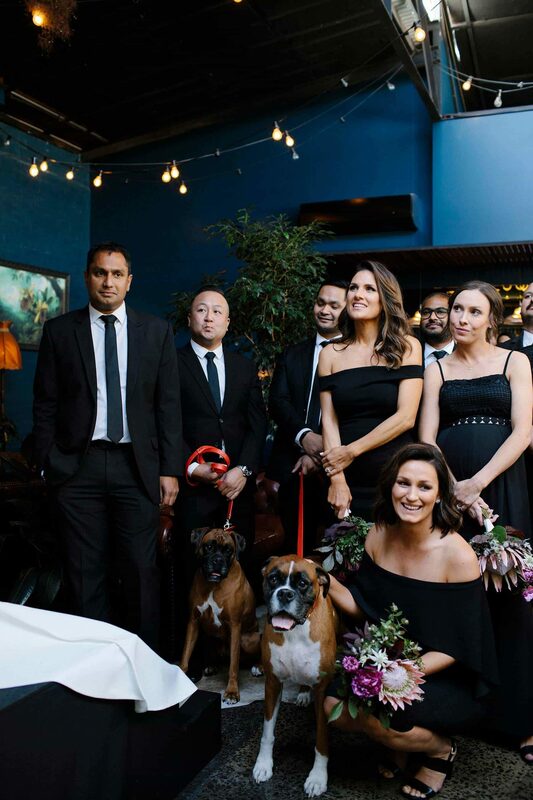 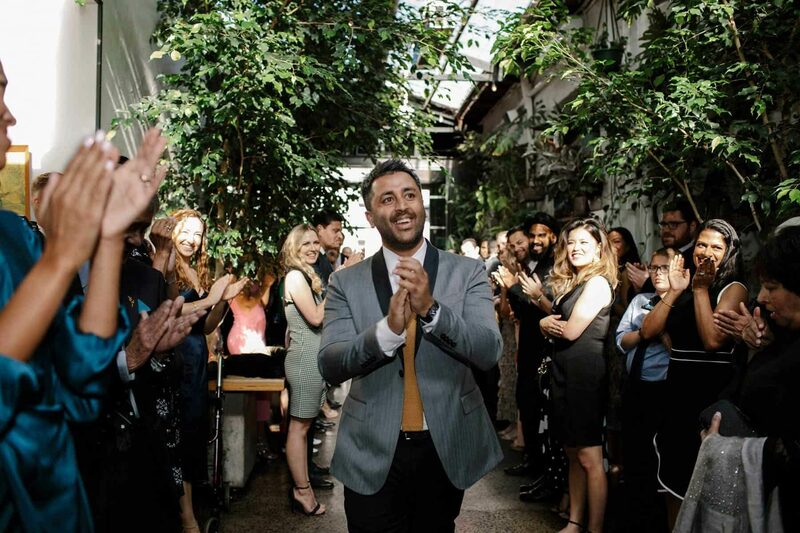 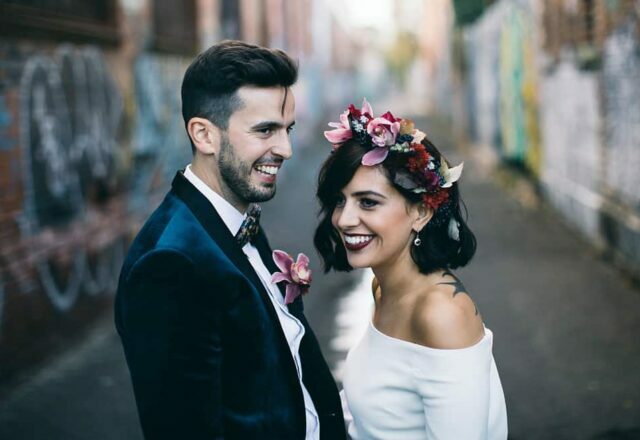 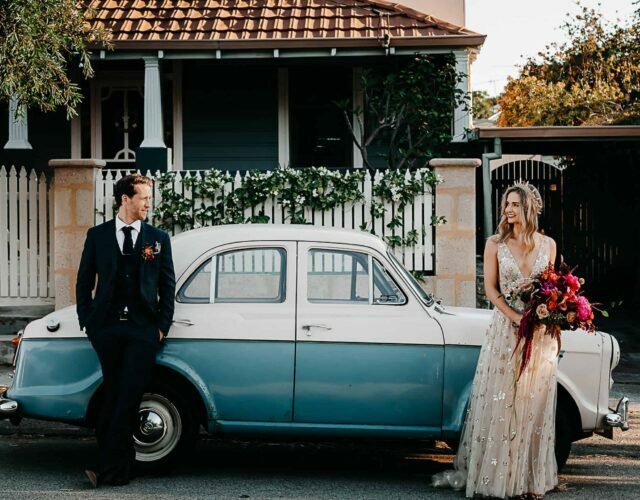 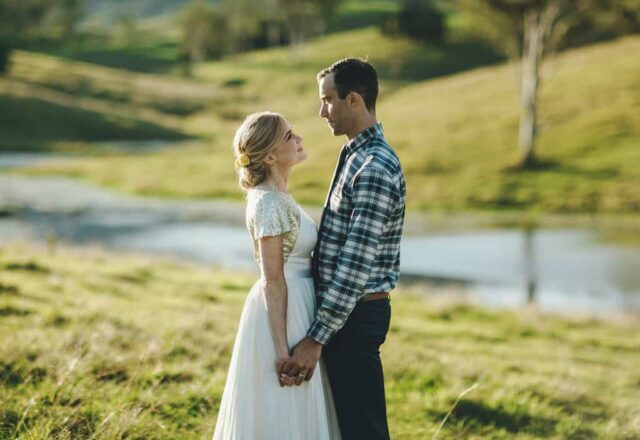 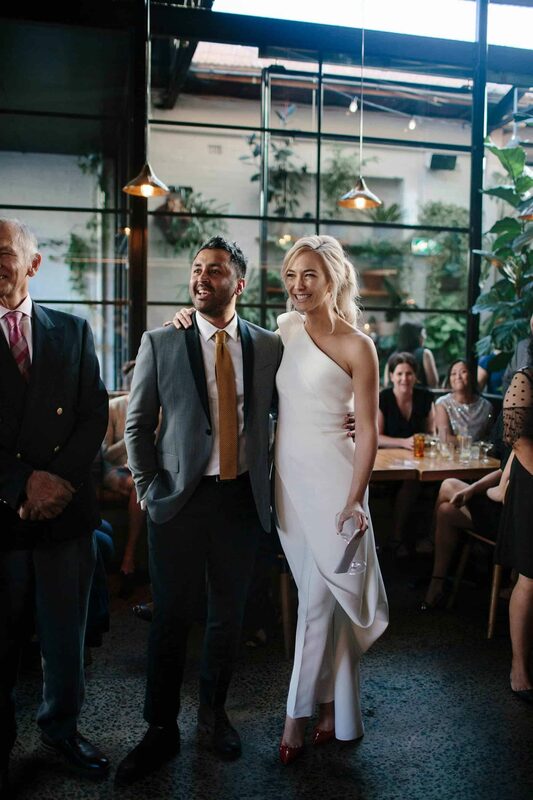 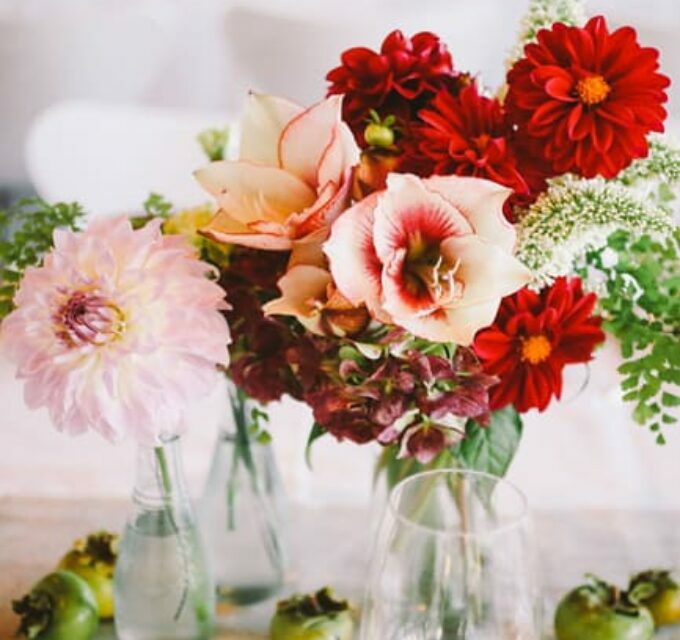 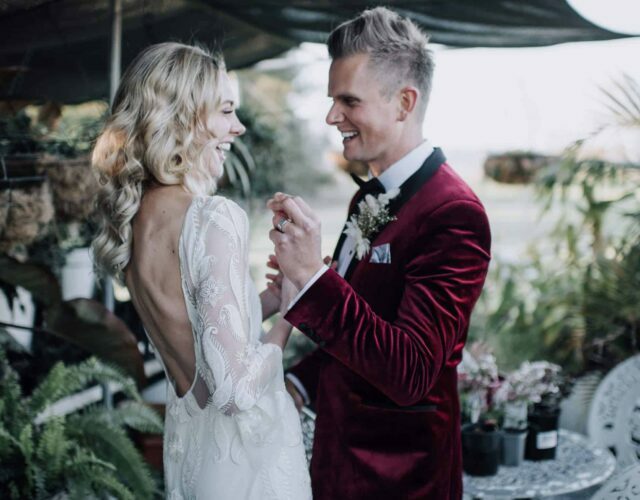 Captured by It’s Beautiful Here, the couple brought their loved ones together for a relaxed and fun party at unique Melbourne venue, Rupert on Rupert. 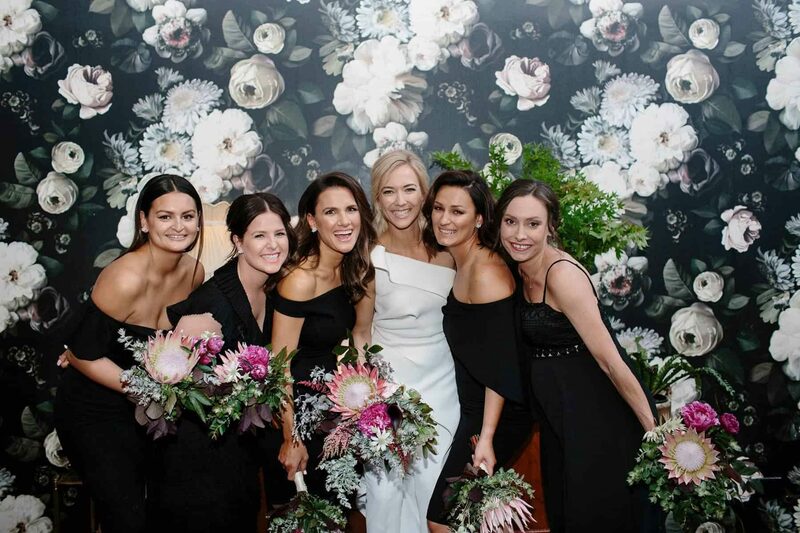 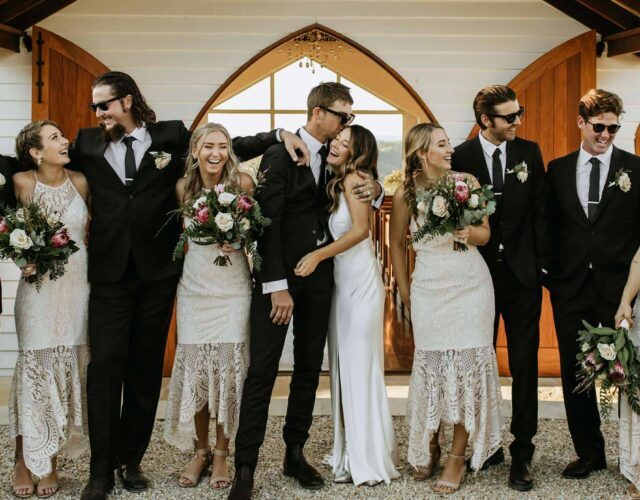 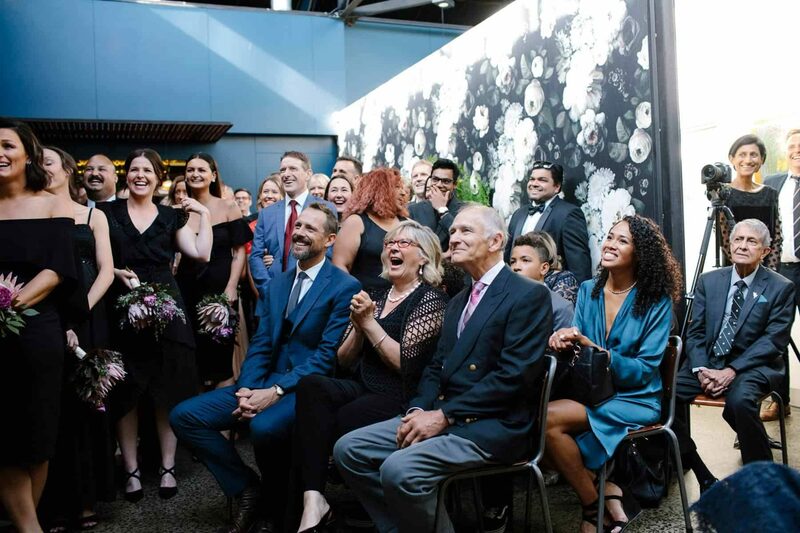 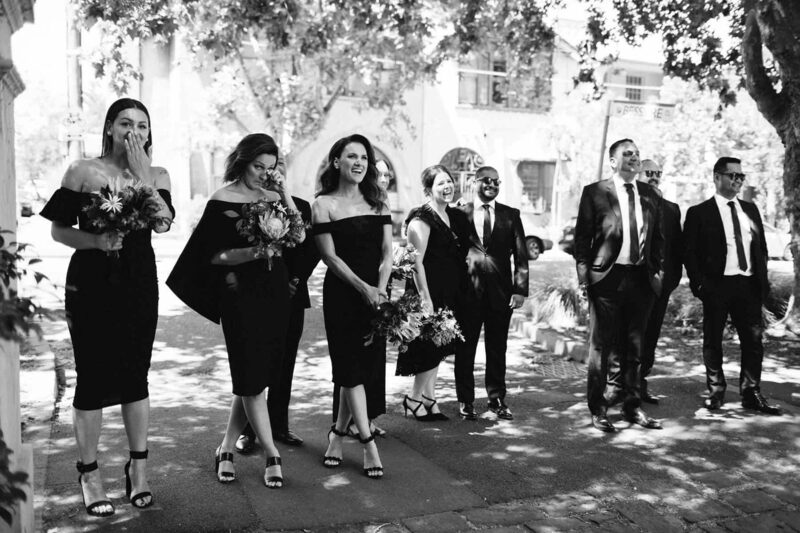 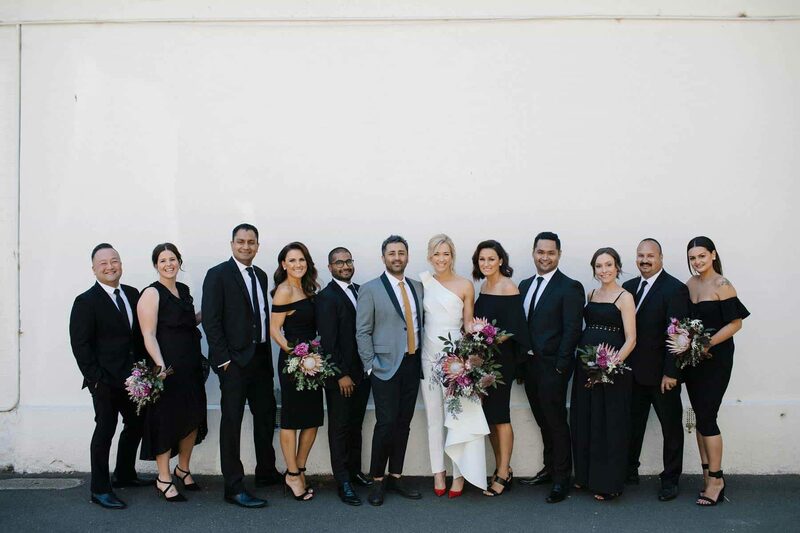 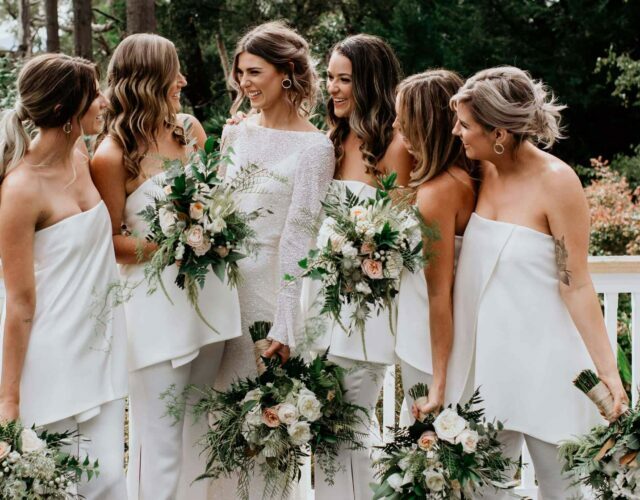 After getting ready in their rooms at The Prince Hotel, where Reggie works as Group Operations Manager, they met their bridal party for a reveal before heading to Rupert on Rupert to greet guests as they arrived. 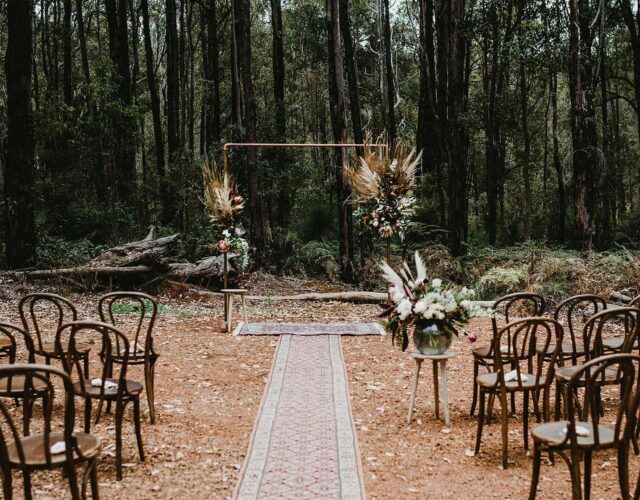 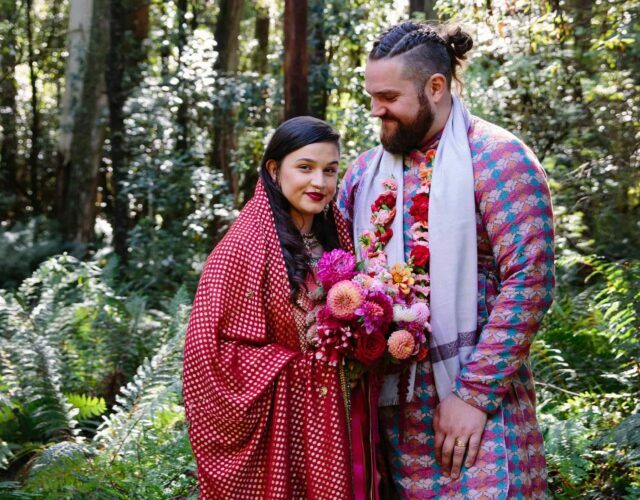 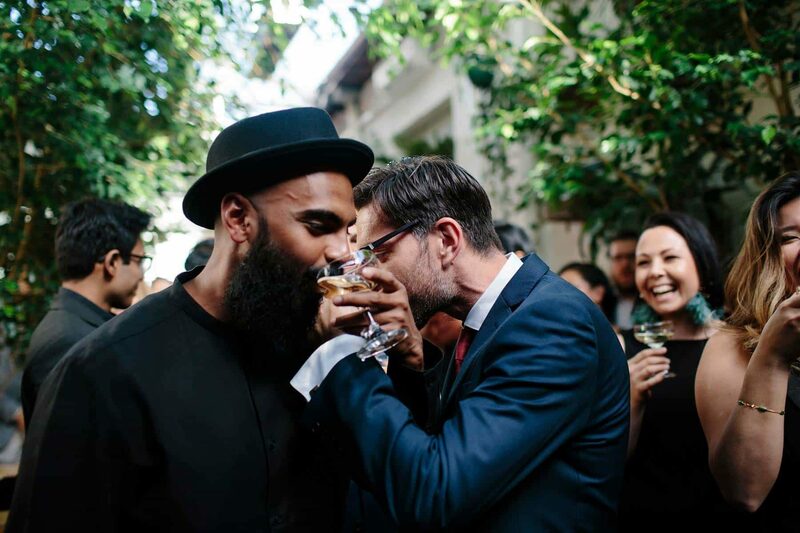 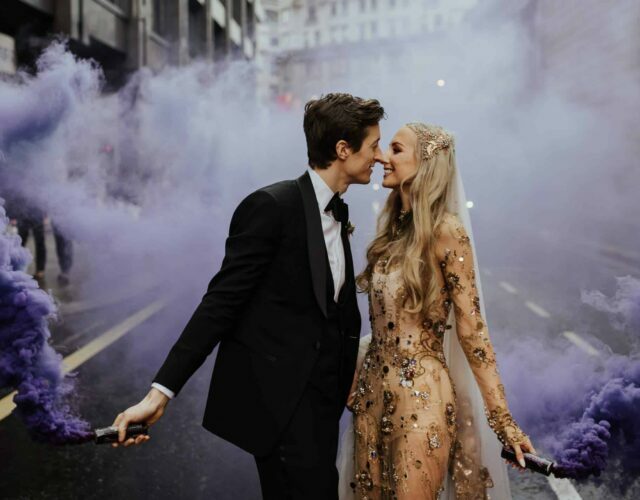 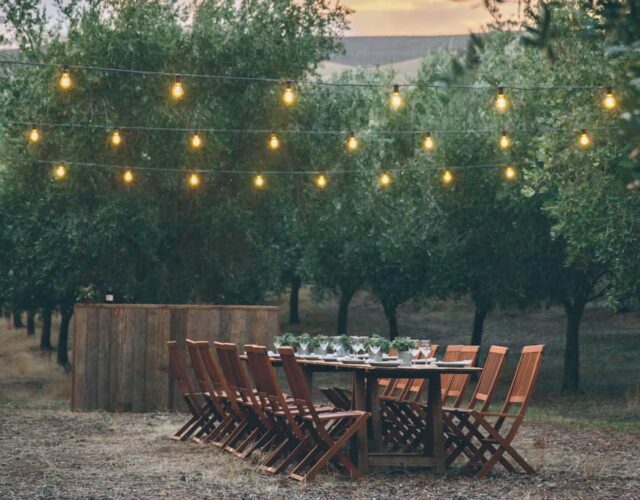 This deviation from the traditional wedding format had few guests panicking that they had missed the ceremony, but meant that the couple were side by side all day. 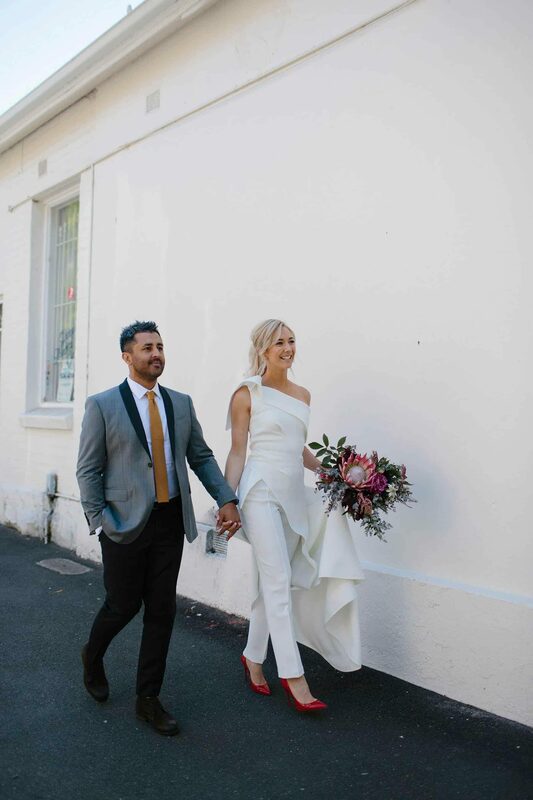 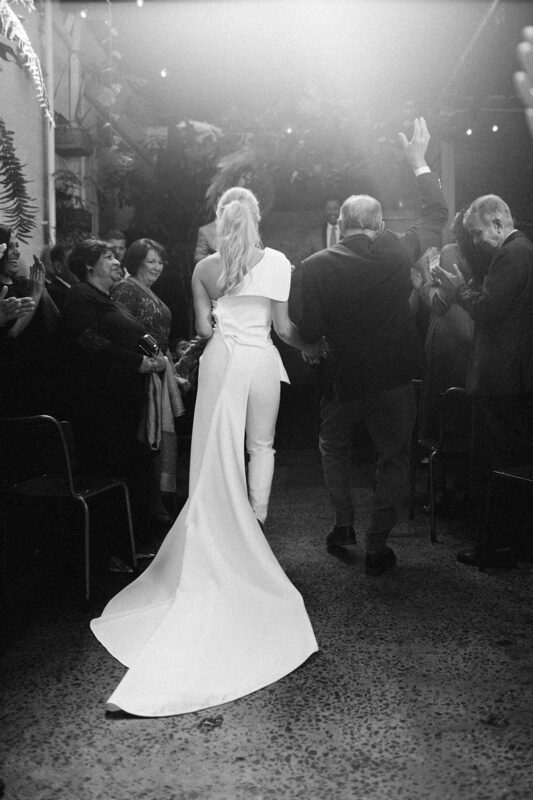 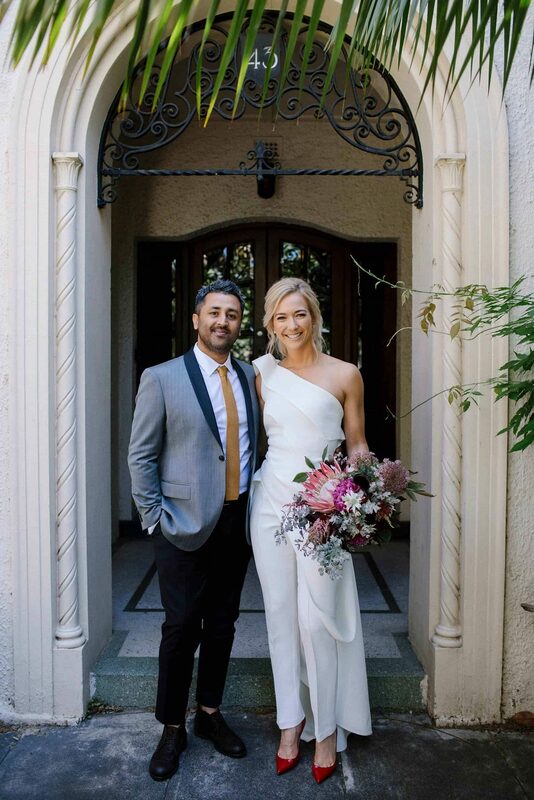 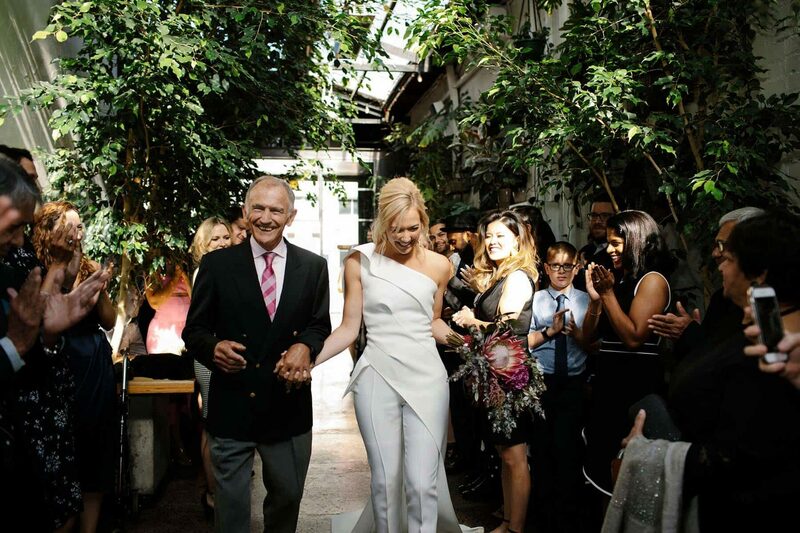 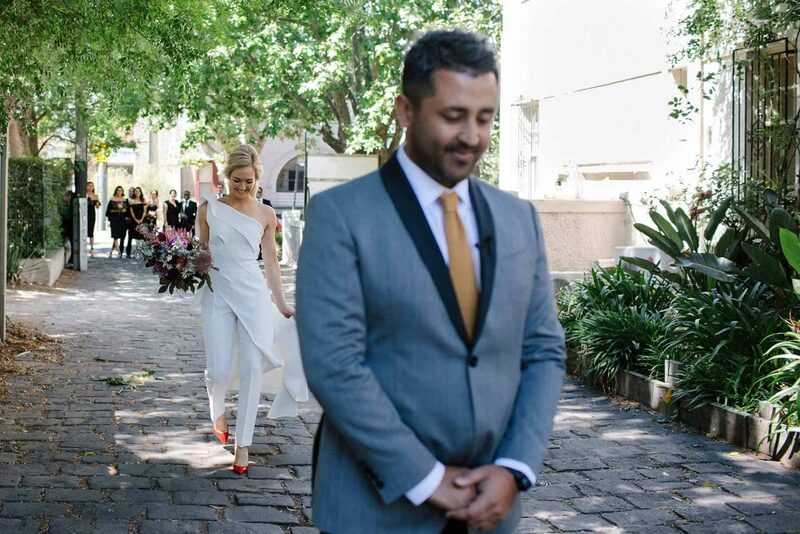 Paired with red patent Louboutin's, Sam's chic asymmetrical pant/top combo by Tony Maticevski was the ultimate modern bridal outfit. 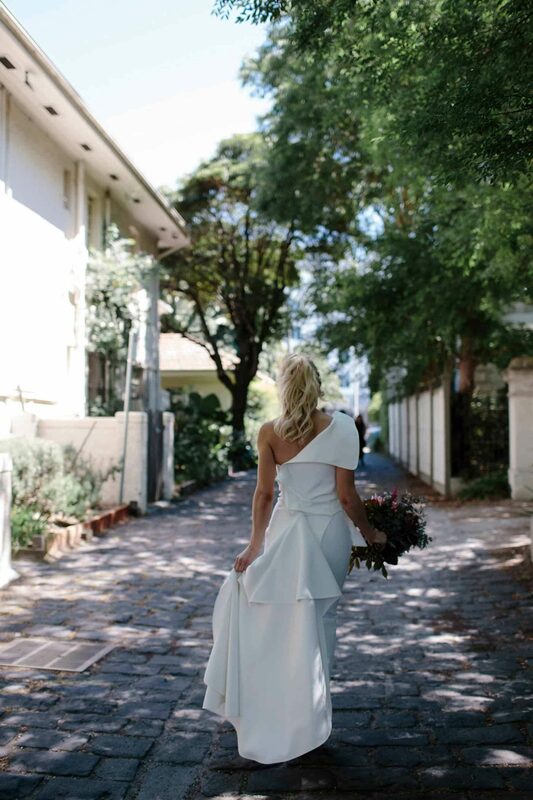 We're loving the off-shoulder fold and that dramatic train that gathers up to a bustle. 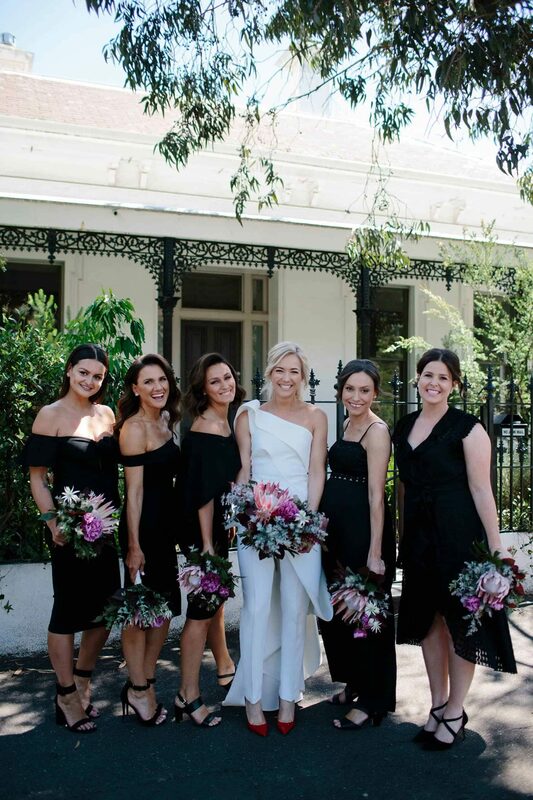 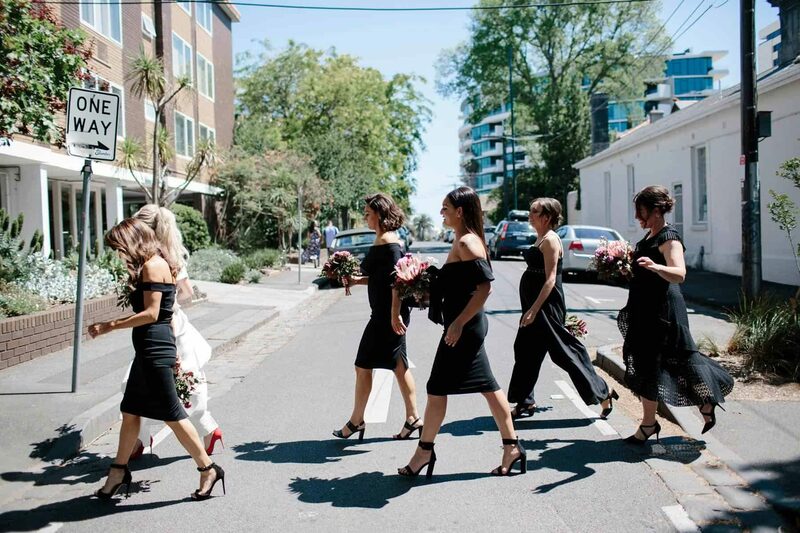 Samantha’s girls were asked to choose black, mid-length dresses, that didn’t look too bridesmaidsy. 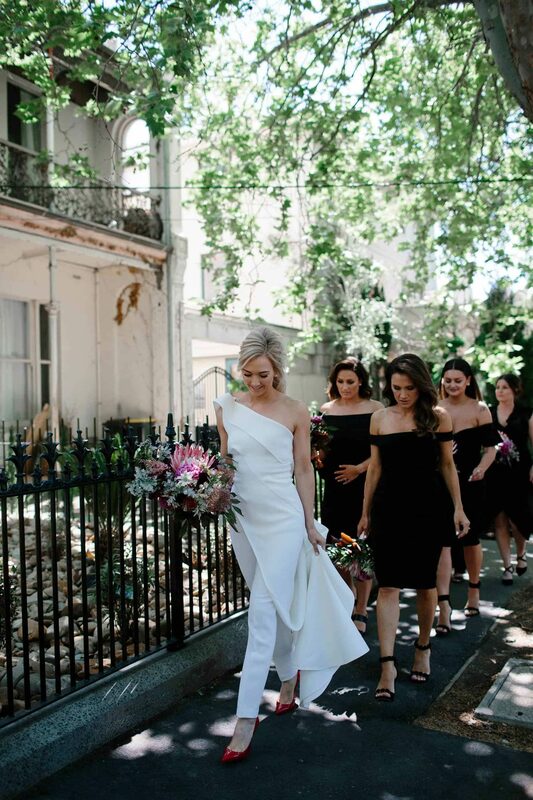 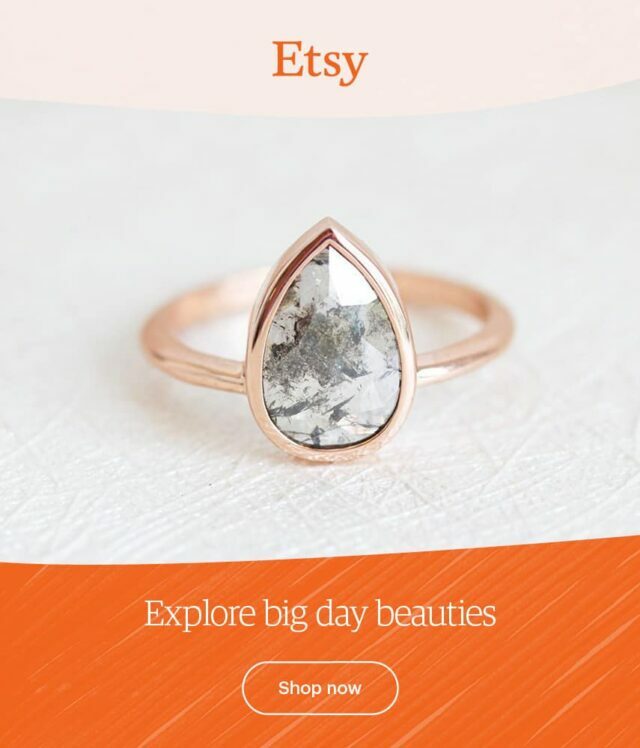 The result is a modern, classic and totally re-wearable look – while still keeping that girl gang vibe. 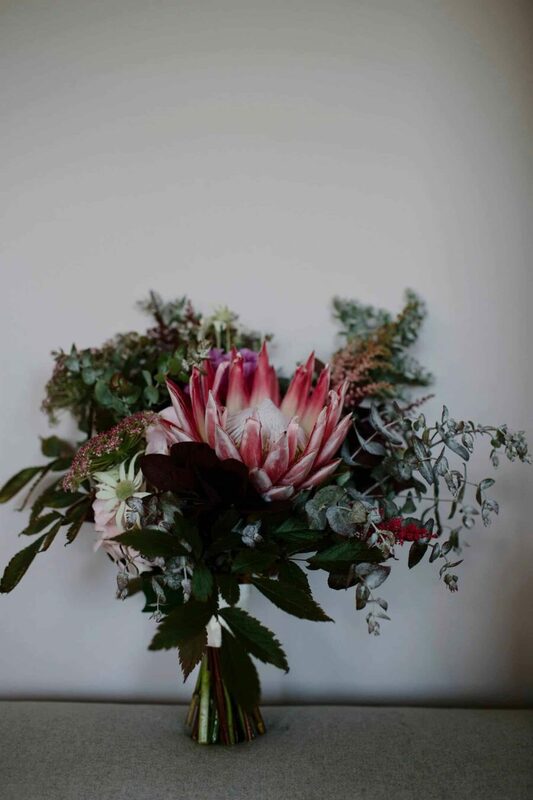 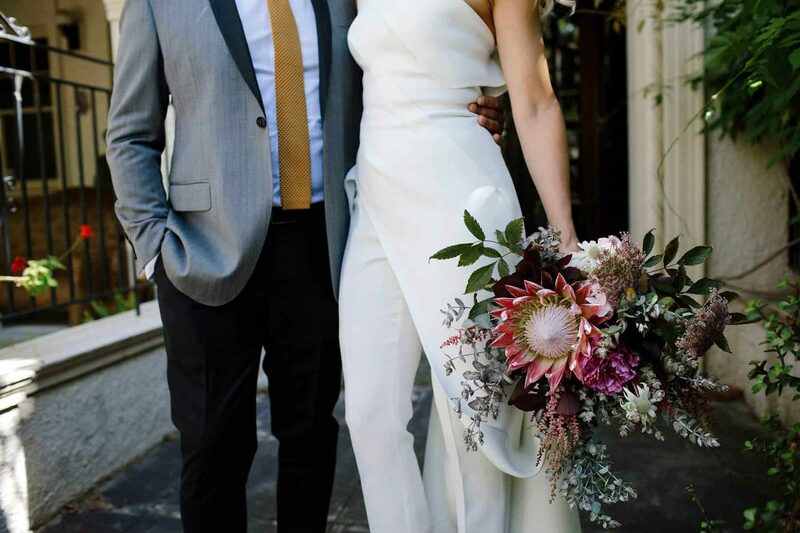 Babylon Flowers created bridal and bridesmaid bouquets of muted greens, pops of fushia, plenty of gorgeous natives and crowning king proteas. 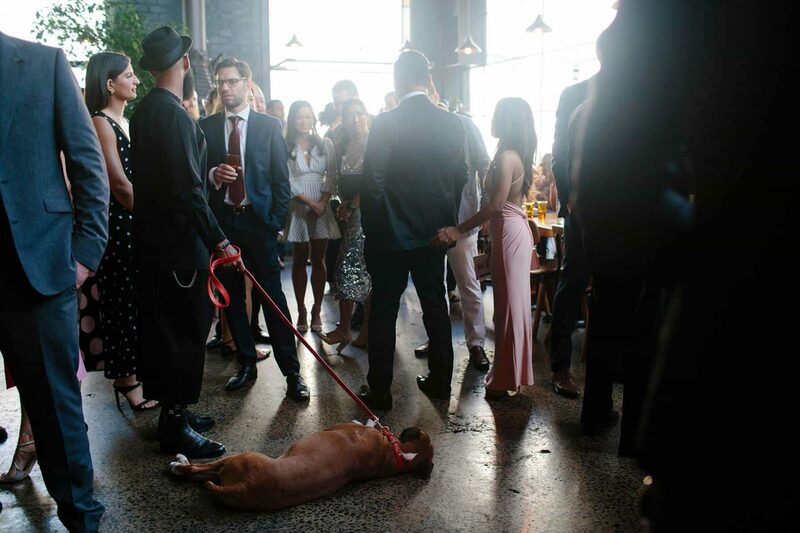 We always love it when the pups get invited, especially when they dress up for the occaion. 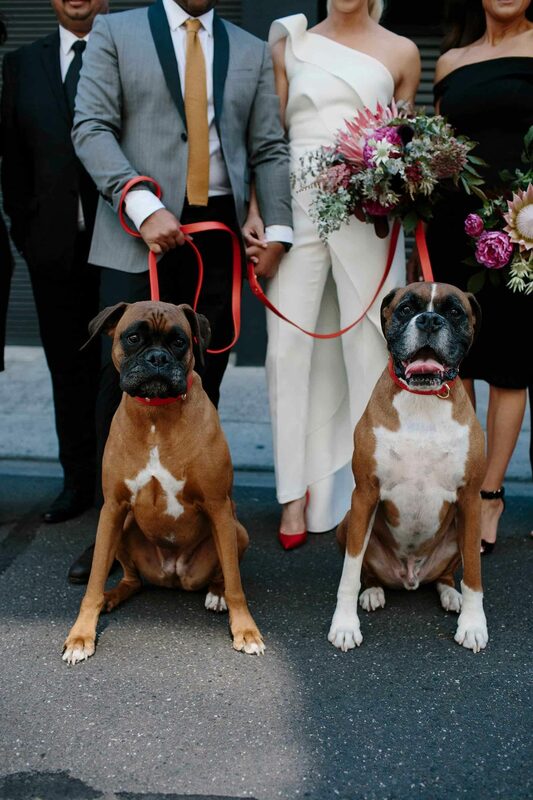 Boxers, Hunter and Benson wore red leather collars and leads to match Sam's red patent Louboutin's. 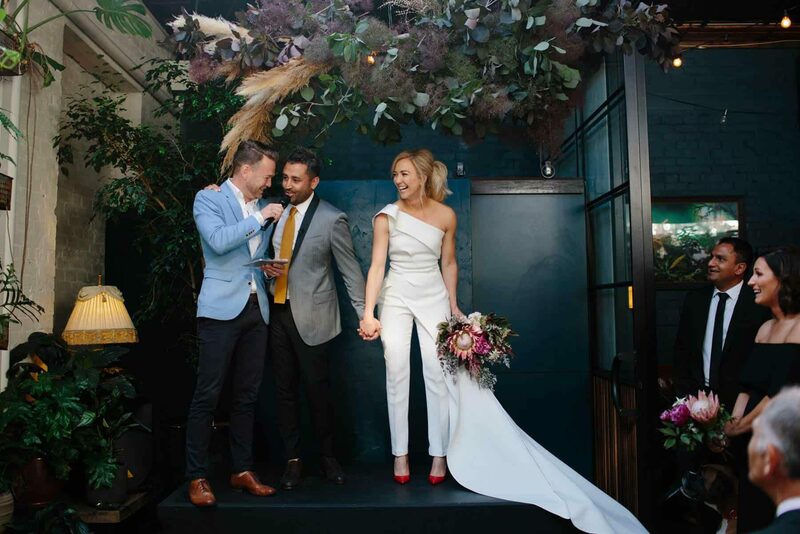 Collingwood's Rupert on Rupert ticked all the couple’s boxes, with a quality sound system, a refined aesthetic and enough room for their 130 guests. 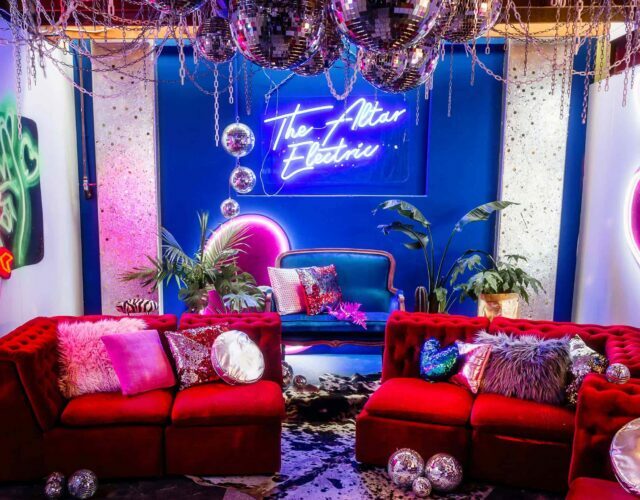 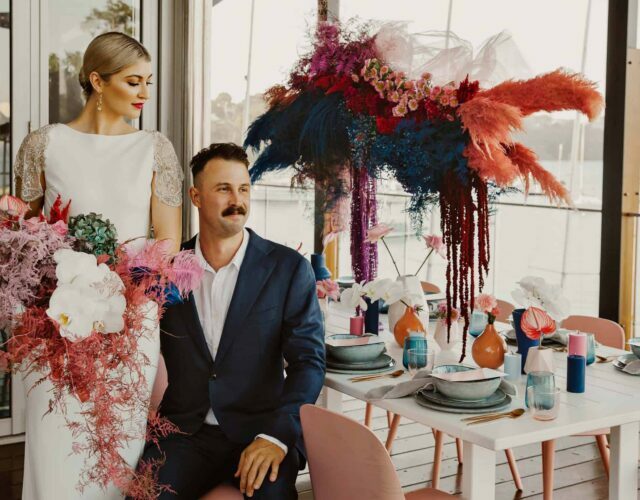 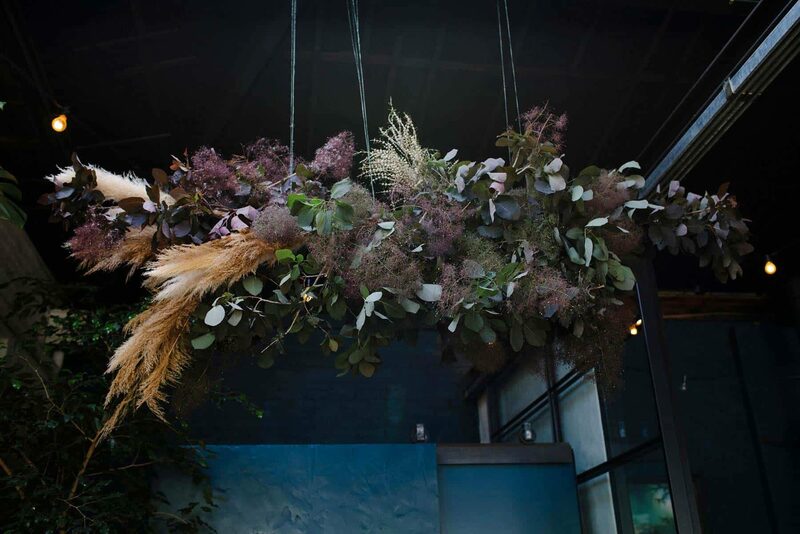 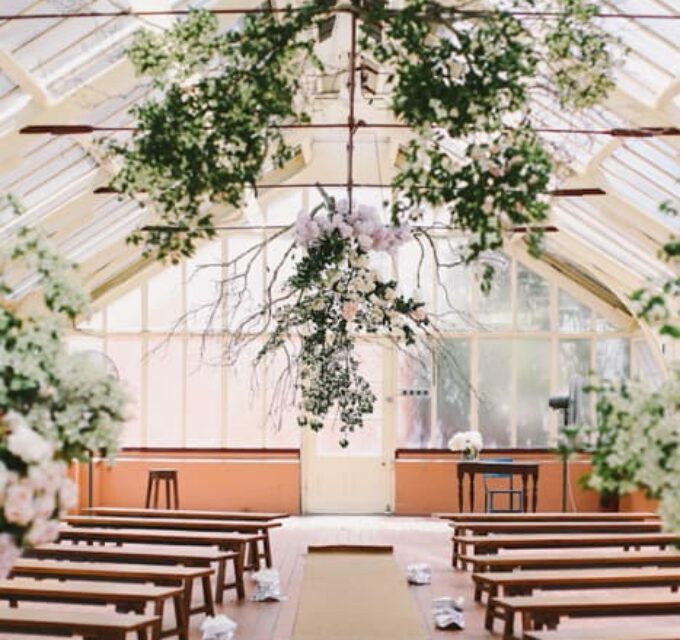 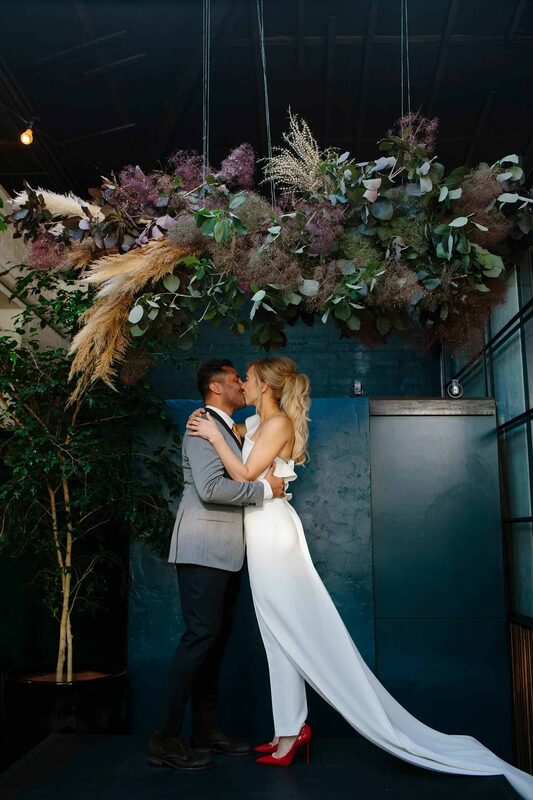 Floral installations by Babylon Flowers complemented the space, but the couple otherwise kept styling minimal, letting the venue's décor speak for itself. 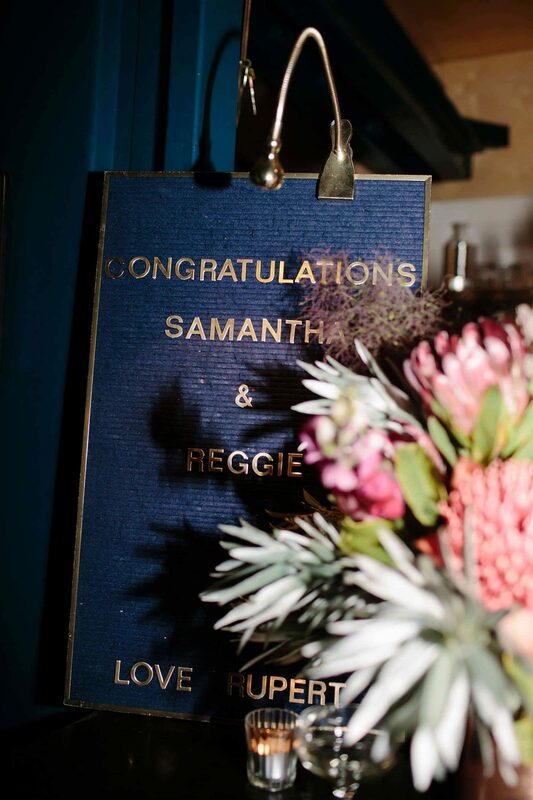 Samantha and Reggie had already witnessed photography duo It’s Beautiful Here at work at a friend’s wedding, and fallen in love with their images, so the decision to have them capture their day was a no brainer!